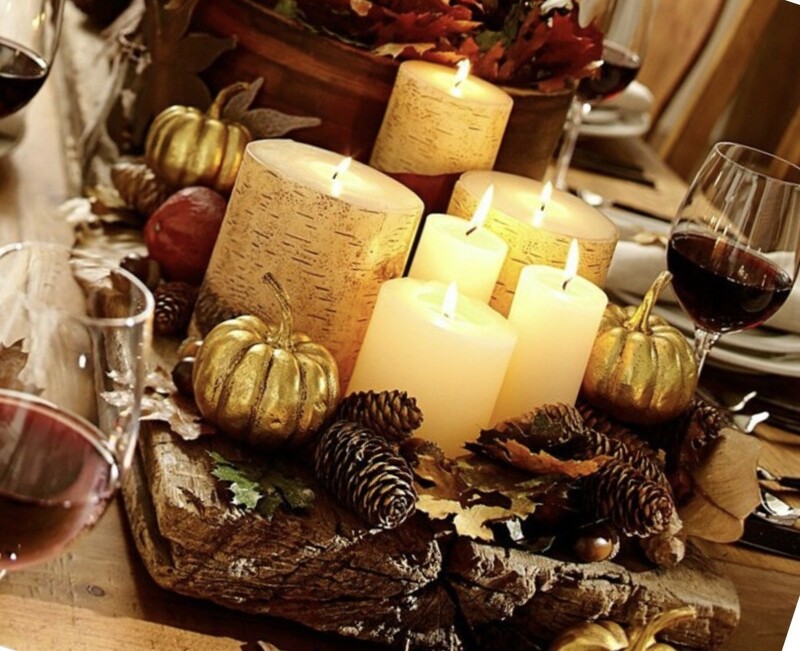 It’s the beginning of November and it’s still warm in North Florida, but it’s never too early to start planning your Thanksgiving tablescape (not centerpiece!). We’ve put together 5 easy steps to help you create your very best holiday table design, quickly and easily. 4. Create balance – We are always paying attention to scale and balance when designing a room, but it’s just as important when you are pulling together your Thanksgiving table. Height, color, and the material an item is made of all come into play. For instance, something clear has less “weight” than something made of wood. 5. Add interest with detail – add small items around your main focal points to draw attention and create small points of interest. This is especially important at Thanksgiving because guests will be sitting at your table! Voila! Your Thanksgiving tablescape is finished. You’ll be glad you started early! There is still plenty of time to make changes or go find the extra items you need. Enjoy the process and relish the compliments! Too busy to worry about your Thanksgiving tablescape? Let a DOTI expert do it for you!